What’s the secret of success of your team? The secret of winning this is a lot hard work, discipline, never give up and positive energy from each other. How did your team start up? How was the recruitment process? Many newbies came and showed their interest during tryouts – some knew by word of mouth, some by Facebook notice and some came with friends. But only a few made it through as we needed to limit our numbers. It wasn’t very tough recruiting because initially we had about ten seniors from last year’s team joining. Some strong friendship bonds were formed last year! Unfortunately, later on some of them couldn’t cope with studies, so we had to find replacements. Despite this, I’m glad to say that I had no trouble in forcing people into joining the Taurus cheer team – most of them are very disciplined. Talk us through your training process. We started our practice around the end of April. During the first two months, members came and went, so we were teaching the newbies the basics about cheerleading to give them a rough idea of what cheerleading is about. We started practicing the tougher skills that are to be included in the routine in mid-July. We did a lot of strength training, stretching to improve our flexibility, jumps and stunts. Personally, I had a lot of hope in this year’s team! I thought we might have a change to win this if we worked hard and started early. I conveyed the message to every member of the team – that we are aiming for something big this year. I am so glad that they have been with me throughout this whole journey. We finally made it! I am so glad that [the team] have been with me throughout this whole journey. Tell us about the happiest and saddest moments of your team. After being together for 6 months, the happiest moment is that we are able to meet each other through cheerleading, and the friendship bonds formed through this are unbreakable. Learning to put your lives into others’ hands and being able to trust them are some of the most precious things that we gained throughout this whole journey. The happiest moments are definitely when we could hit perfect stunts and master new skills. Everyone is so happy to learn and they are very open minded towards suggestions. Is there anyone in particular you would like to thank for your success? What advice would you like to give to those anyone who might be interested in cheerleading? There are many people that we would like to thank for making this dream come true. We have very dedicated coaches who are very motivating – always encouraging us to try new things even when we want to give up. I would like to advise those who are shy but interested to be brave and give yourself a chance to experience this journey yourself! It is very fun to be able to know people from different courses. From being strangers on day one, to being inseparable best friends after 6 months of training. Not only that, when you achieve something in cheer leading, the feeling is beyond amazing, you will be proud of your achievements. Never try, never know. So I would advise those who are interested in cheer, to step out of your comfort zone, to give yourself a chance to be a part of this family. Be brave and give yourself a chance to experience this journey yourself! Wilson is a first year dentistry student. Throughout the entire duration of IMU Cup 2014, he has been actively involved in several sports events, namely cheer leading, track & field, basketball, volleyball, Frisbee and touch rugby. First of all, I would like to congratulate you on winning IMU Cup 2014! How do you feel about this victory? Thank you! I felt so excited and touched when Hydra was announced the overall champion. Initially,we were 8 points behind Pegasus, but we knew we stood a chance in overtaking Pegasus when we were placed third in the cheer leading competition. Although cheer leading played an essential role, I still think that every captain and member of each event deserves the cup together because without any of them, the cup wouldn’t be in Hydra’s hands today. I see. What was your initial goal for Hydra? Did the outcome match your expectations? I believe every house captain’s goal is to win this Cup. Not only does the Cup represent a leader’s capability in leading his team, it also marks the effort of every house member. And yes it did match my initial goal. What have you learned from being the house captain of Hydra? The responsibility of being a leader in Hydra is totally different from any other posts I have ever held before. This is because house members are constantly looking up to the captain and the committee to finish the job. Leading a large group of people is definitely not an easy job, but fortunately I have learned how to cooperate with my committee and other house captains. The job got easier when all of us worked together towards a common goal. I would say teamwork is one of the most important lessons that I have learned from this Cup. Apart from emerging as champions of IMU Cup and learning how to work with others effectively, what is the best part of the whole event? The best part is definitely the blossoming of new friendships! You get to know people from different semesters and courses through the various sports events. It is a brilliant opportunity for IMU students to mix around and have fun. But to be honest, the friendships in the cheer leading team are the strongest as we spent almost every day together. Will you join IMU Cup next year? Yes definitely. I would like to try some new sports if possible. I love sports! Last but not least, are there any messages you would like to share? I would like to say thank you and great job to the organizers. They did a pretty good job this year and things were well-organized. As for IMU students, I hope more people can participate in IMU Cup next year as it will be a great experience and memory for all of us. Thank you so much for accepting this interview. All the best to you and Hydra in the future! Photography credits to IMU Photography Society and JieCong’s Photography! In conjunction with the recent IMU Cup Closing Ceremony, we interviewed Ivan, who tirelessly overlooked the organization of the games. Read on to find out how he manages to make him for studies! Can you briefly explain the objectives of IMU CUP? IMU CUP is an annual multi-sport event that serves the purpose of bringing students from different courses together, nurturing leadership, sportsmanship and teamwork, providing a platform to hone and display students’ talents and last but not least, identifying potential athletes within IMU. Is it your first time handling a big event like this? Yes, but I am glad that I have 4 years of experience from participating in IMU CUP to reflect on, which made the organizing process easier. We were told that you volunteered for this position. What made you volunteer to be the president of IMU CUP committee? I was the captain of Draco in year 2013 and I felt that there are something that we need to change. Thus, I volunteered myself to be the president of IMU CUP committee and I hope that the changes and modification I made this time improved IMU CUP 2014 in general. What is the most challenging part during organizing this event? The most challenging part of the process was to plan the IMU CUP timetable. My committee worked very hard to gather timetables from all courses and analyze them to come out with the best timeline. How do you manage time between your studies and extracurricular activities? I believe that self-discipline is always very important. Being a final year Chiropractic student, I have to divide my time between an academic research, clinic posting, studies and also the planning of IMU CUP. The key to manage my time is to always stay focused and efficient on the work that I am currently doing. I will have to admit that is was not an easy pursuit but when there is a will, there is definitely a way. The key to manage my time is to always stay focused and efficient on the work that I am currently doing. What is your message to the citizens of IMU? I would like to emphasize that IMU offers the best extracurricular activities and student life compared to all varsities in Malaysia. Regardless of your course, batch or even your skills in sports, as long as you are willing to learn and have the right attitude, you are always welcome to join the events in IMU CUP. Do not be discouraged to participate in the event due to any reasons because every single student in IMU has the rightful chance to shine in the games. I hope that we can achieve higher participation and improvement in future events. Thank you all for your support! Check out JieCong’s Photography for more photos! Ng Woon Woon: Phoenix Ignite! 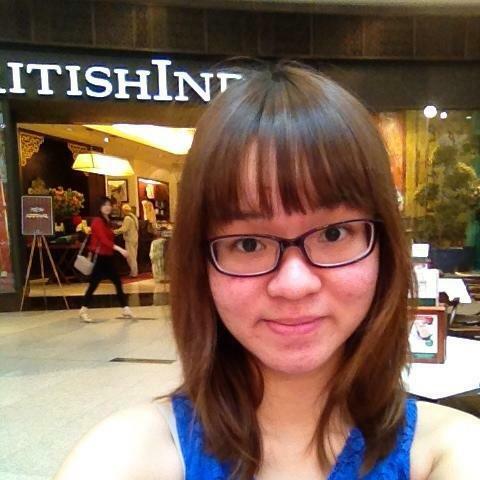 Woon Woon is the Cheerleading Captain of Phoenix. A medical student in her third semester, she is actively involved in extracurricular activities as a Student Ambassador and also as a member of the MAPCU Track and Field Team. The final cheerleading competition is this Friday! How are you feeling right now? What is your goal for the team? Very excited! Initially, I was more focused on winning the match. However, as the competition date gets closer, I tended to put more emphasis on the bonding sessions we shared. I hope we can perform our best during the competition and no injuries will occur. Winning will be a bonus! Would you share some of your experiences with the team? What is the most interesting part of the training sessions? I love bonding with my teammates! We practice together almost everyday, we help each other to improve, and we are like family, really. What obstacles have you faced throughout the process? So far, no major injuries have happened in my team. All the members are awesome! One issue we faced was the lack of mats – we hope IMU can provide us with more practice mats in the future. There is also a lot of extra work to be done because we need to adhere to the new safety guidelines. For example, we need to make video recordings of the stunts we plan to do in order to get approval from the university before we can begin official practice. Is there anything you wish to share with the other students? University life is not just about studying! Join some extracurricular activities! You will definitely learn a thing or two, and meet amazing people! Any words for your team before the big day? Cheerleading teams in IMU usually start preparing for their competitions as early four months before it. A cheerleading routine, although short, requires weeks of planning and experimenting within a unit and as a whole team before it can be executed perfectly with all members hitting cheerleading stunts on the exact same count. Injuries, big or small, are also extremely common during practice sessions. Practice sessions one month prior to competition happen 3-4 times a week lasting 4 hours or more. Like many things, cheerleading is a stressful but exceedingly rewarding sport, so do come and show your support! Go behind the coffee chemistry happening in front of our campus – The Mad Alchemy speaks! For many students morning classes may be a torturing routine. How do you get rid of your Monday blues, you ask? 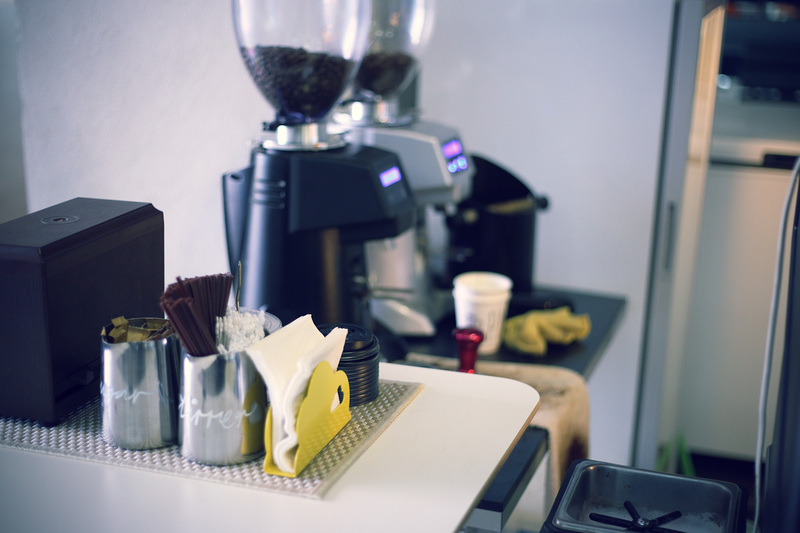 A cuppa will be just the thing and we have none other than The Mad Alchemy for us to grab some quality coffee. Lee, the ‘mad one’ behind the wheels, runs the stall with his staff. Lee doesn’t have that suntanned skin from nothing – he has experience brewing coffee on wheels on the streets near IMU for five to six months. I vividly remember my days being a workaholic and staying awake for 34 hours straight. An idea came to mind – why not start a business? This will not only enable him to get a break from his tedious and dull job, but will also allow him to share his passion for coffee with others. His turning point came when the Student Representative Council (SRC) of IMU invited Lee onto campus. Lee is glad for the consistent supply of electricity and is relieved that business is becoming more stable. So why the name ‘The Mad Alchemy’? Coffee is about sharing – about spending time with someone whose company you enjoy. I want to be lost and found. Lawrence is a Pharmacy student in his third semester. 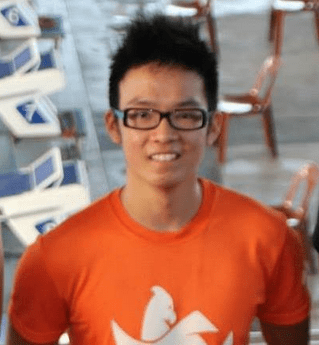 Read on to find out about his experience in the current IMU Cup as both a participant and an event organiser. You are in charge of organizing the table tennis competition for the upcoming IMU Cup – how has progress been? The preparation has been great. However, the main problem is recruiting participants for the competition. It’s quite difficult to get students to join the game as IMU students are often focused on studying and they generally avoid activities that distract them. Furthermore, table tennis is a game that requires 10 players per team. As such a high number of players is required, forming a team proved difficult. What was the most challenging part of this event for you? Like I’ve mentioned, urging people to enter the competition was quite challenging – I had to persuade them to join! We had to form a strong team with the complete set of players within limited time. Furthermore, time management was also another obstacle as I needed to maintain my performance academically while handling both my responsibilities as a team player and as president of the Table Tennis Club. What is the most interesting part of this event for you? I had the opportunity to meet new people and to form new friendships. It helped me be more inquisitive and eager to fulfill my duties as a leader. What was the responsibility of the post you hold? As the President, I have to know the direction the event intends on going, as while as assign different tasks to those responsible .Ultimately, I have to make sure that the event runs smoothly. Besides that, I have to encourage committee members and players alike to participate and, contribute ideas before finalizing any decisions. What have you put in place to make the team work out? All the committee members are friends so there was already a strong bond initially. To further strengthen that bond, I constantly encourage good communication, having created Whatsapp and Facebook groups. I had to sacrifice time spent hanging out with friends and family in order to keep up with my studies. However, I would like to think that all these extracurricular activities help me perfect my time management skills. Thus, I have no regrets being active in them. I hope that interest in table tennis will continue to grow and that aspiring participants take up the chance to play in any future events! Personally, I would consider my progress thus far as an achievement. Is there anything you would like to convey to other IMU students? Table tennis is a very interesting sport! It’s not as hard as people imagine it to be and our club organizes trainings for those new to the sport. Students should also learn to partake in extracurricular activities as it helps them master the art of time management and other skills they cannot learn through studying. For those interested, you can join the IMU Table Tennis Club on Facebook. We conduct training sessions twice a week (Tuesdays and Thursdays) in front of 4.02 at 7 pm. Do come join us! 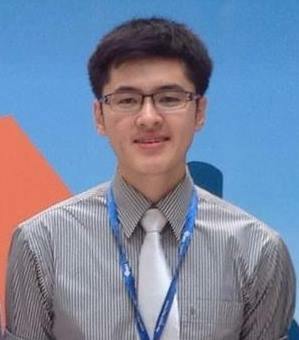 Ernest Ng Chang Ern is a medical student in his second year. Here he shares with us his responsibilities as Captain of the Griffin Swim Team. Can you give us a brief overview about your role as captain for your team? Oh of course! My role as Captain includes gauging the interest of Griffin members in swimming, ensuring that they join the type of race that best suits them, organizing regular training sessions with the team and most importantly, keeping the team spirit up and inspiring them to victory! As the team captain, you are bound to go through ups and downs while handling your team in the upcoming swimming competition for IMU Cup. What has been the most challenging part of this event for you? I think getting people to join and putting them in the right events is the most challenging part. You see, swimming is often viewed as a survival skill as opposed to a competitive sport. There are people who swim well but just not competitively so it wass quite challenging convincing them to join the team. What have you done to work around this problem? So far I am still trying to further build on their interest while teaching them ways to improve on their technique so that they will be more interested in competitions. Tell us what the most interesting part of this event is for you. Winning would definitely mark it as a great experience. The sense of satisfaction you feel after a victory just tells you that all the hard work your team has been through has paid off. As this is quite a time consuming task, how do you manage time between your studies and extracurricular activities? Be focused on one sport! Since Semester 3 is relatively more relaxed compared to Semester 2, I don’t find time management a major obstacle. What are your expectations for your team? I am expecting Griffin to get at least third place. I also want more swimmers to continue swimming recreationally because to me, swimming is definitely more than a sport. Finally, is there anything you would like to share with other IMU students? Study hard, BUT experience life harder! I’ve learnt so many soft skills such as time management and networking through joining events such as IMU CUP; YOU too involve yourself in events happening around campus! In view of the Mid-Autumn Festival, the Hua Xia Cultural Society of IMU organised the ‘Loss of Mooncake’ event. It involved a variety of games, with the highlight being the closing night on the 12th of September. We spoke to Chu Jian Feng, Organising Chairperson of the event, where he shared his experience being at the helm of this project. Can you briefly explain the objective of this event? The main objective of this event was to raise fund for HIV patients. Besides that, this was actually an initiative taken up by my batchmates and I, thus I would urge all students to also be self-driven and to seize the chance they have to be involved in extra-curricular activities. 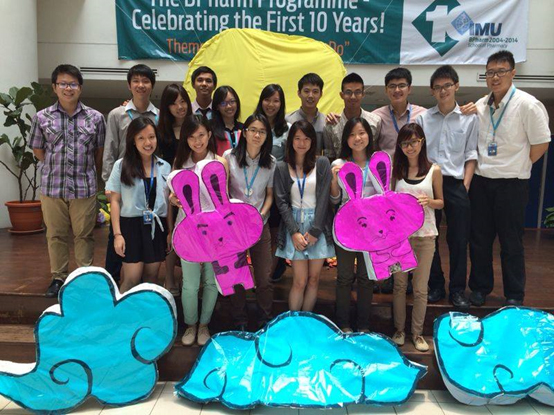 Last but not least, it also provided a platform to promote the Mid-Autumn Festival among the IMU community. I would urge all stuents to be self-driven and to seize the chance they have to be involved in extra-curricular activities. Was it your first time handling an event like this? I have had prior experience organising similar events in secondary school but managing the ‘Loss of Mooncake’ event still proved a challenge as I was not familiar with the protocols in IMU. However, I did have more freedom to plan the activities we decided on despite also having to bear a heavier responsibility. What were the activities conducted for this event? Throughout a few days, we fund raised through setting up a few game booths at the driveway, while also selling tickets for our dinner. On the night of dinner itself, we had a few game booths set up for guests as well as an exhibit on the culture and origin of the Mid-Autumn Festival. What was the most challenging aspect of organising this event? Communication! As most of the main committee were on holiday during the planning of the event, we had to resort to Skype for our discussion. There was also some miscommunication during the preparation. Fortunately it was resolved and our plans were carried out smoothly. What was the most interesting experience of this event? I would say that the best experience from this event was the friendships formed. I had a great time bonding with everyone by working on this project together. Is there anything that you want to convey to your committee as well as the rest of the IMU community? I would like to give my thanks to Chan Weng Sang, Rebecca, Charlene Ye, Yen Ling, Yen Ching, and the rest of the committee for contributing a lot to this event. I truly appreciate the efforts in making this event a success. If the opportunity presented itself in the future, I would not hesitate to work with them again. I also really appreciate the help of Ray Tan Zheng Liang for granting us this precious opportunity to organize this event under the Hua Xia Cultural Society. 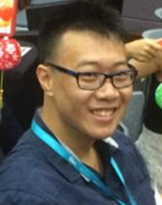 Our event advisor, Mr Lim Chee Siong, was very helpful through the process of planning and executing this event. I would also like to extend many thanks to Jun Rong for agreeing to be our photographer for the dinner night. Lastly, I thank all the participants of this event, as your involvement was what cemented the success of this event. The family photo of the committee board for The Lost Of Moon Cake.